Our previous review called Alisa Guesthouse the best value accommodation in town and after many years, the position still stands. Average rating 7.7 from 430 reviews. We visited Alisa five times over the course of two weeks just for a chance to see a room, and every one of those times it was full, a testament to its popularity (tip: booking in advance is a must). Luckily a traveller let us inspect their room. Rooms come with air-con, TV, minifridge, desk/vanity, enormous clean hot water bathrooms with Western toilet. Large windows and white walls keep everything feeling bright and some even have balconies. The beds are plush and neat—the place exudes quality on a budget. The hotel also rents motorbikes for reasonable prices. A small drawback for those on the highest floor: there’s only WiFi available in the lobby and first floor. Rooms facing the road may get some noise, a tradeoff for a location that doesn’t get more central or convenient than this. It’s on Route 13 smack dab in the centre of the traveller hub. Alisa is definitely recommended for flashpackers and backpackers not bent on getting the absolute cheapest room. A top pick for independent travellers. 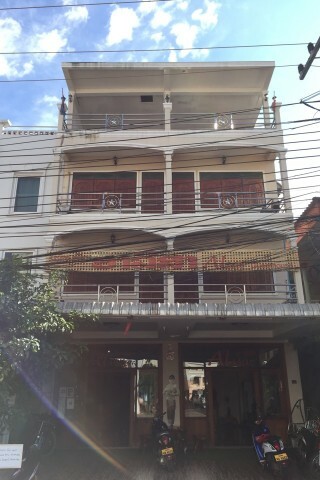 Check rates at Alisa Guesthouse on Booking.com.